Dsiplaying A HTML to Markdown helper widget beside Markdown editor that helps you convert an old post into Markdown. 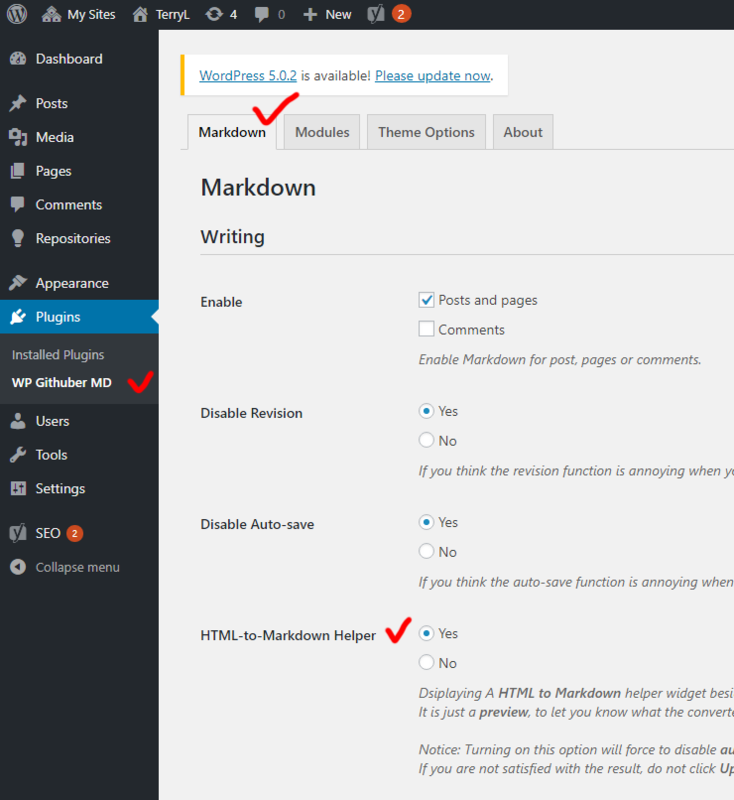 It is just a preview, to let you know what the converted content looks like after converting to Markdown. 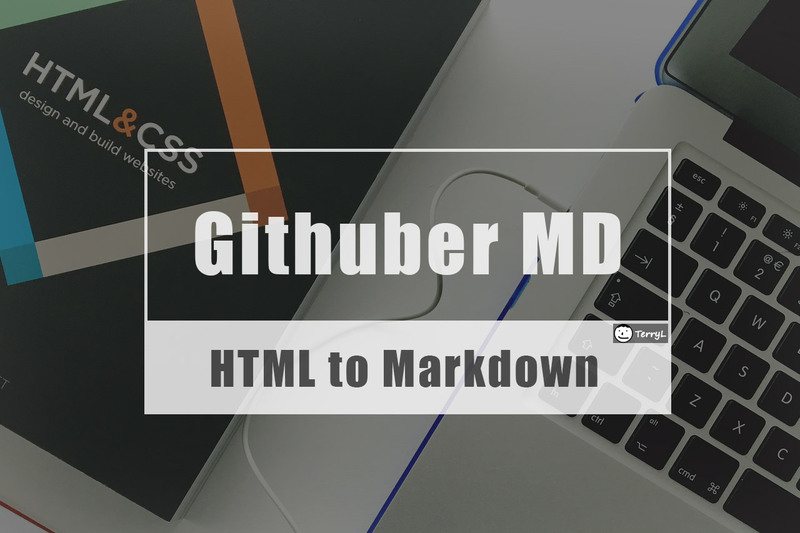 (1) Click “WP Githuber MD” and in the “Markdown” settings page. (2) click “Yes” for option “HTML-to-Markdown Helper”. Notice: Turning on this option will force to disable auto-save, prevents breaking your original content. If you are not satisfied with the result, do not click Update button. hi, I love your theme and use it in my website, but I want a bug, when I Customize my website –> Widgets —> Homepage Sidebar, I add “Archives” and “Categories”, and both checked the “Show post counts”, it’s OK in preview, but when I published my site, I can’t see any post counts in the page! Thank you very much for the feedback, I will fix it as soon as possible. You can post this issue on here: https://github.com/terrylinooo/mynote/issues , it is better for tracking issues. Hey Terry.. Is there a place to configure number of posts to show per page in this theme? Hello. Thanks for sharing this awesome theme and plugin. Can you tell me what “table of content” do you use in this blog? It looks nice. If it is built in your theme, how can I activate it? Search “Mynote” in WordPress plugin directory then you will find a plugin called “Mynote Admin”. I will add some advanced features for Mynote theme in this plugin.